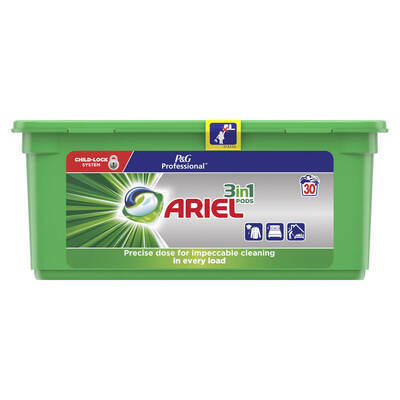 Ariel Liquitabs biological detergent with Actilift for removing and preventing stains. 100% soluble liquitab - simply add 1 liquitab straight into the washing machine! No need for gloves, measuring jugs, or messy tablet holders! Ariel Liquitabs work great with our Totally Soluble Laundry Sacks On A Roll 100 to ensure you never need to handle dirty clothes or hazardous chemicals again!